What the Hell’s Going On at Morehouse? Updated Tuesday, March 7, 2017, 1 p.m.: Earlier today, citing a story from HBCU Digest, we reported that Morehouse had fired President John Silvanus Wilson Jr.
And we thought Trump’s White House was in turmoil. College President John Silvanus Wilson Jr. caused a stir last week after he was the only HBCU president to boldly speak out after Donald Trump summoned the heads of HBCUs to the White House to sit quietly for a round of Betsy DeVos insults and pose for Kellyanne Conway’s Snapchat. On Monday he was fired for it, HBCU Digest reported. 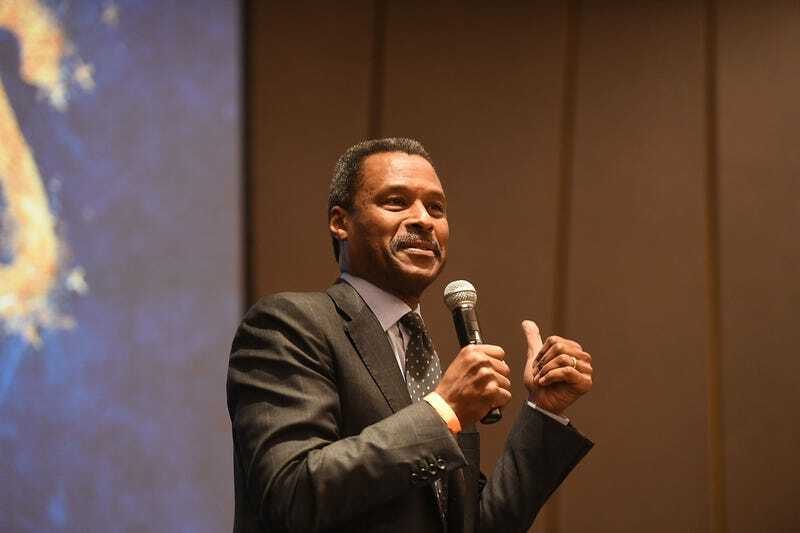 On Wednesday, Wilson wrote a letter to the Morehouse family stating that, while many of the HBCU presidents raised the expectations of their constituents, other than getting bronzer all over his hand, nothing much came out of the summit. So, I’m not discounting the significance of that as a gesture and as a symbol. There’s no question about that. The bottom line is, you have to translate into funding. The fact of the matter is, when Barack Obama took office in ’09, federal—annual federal funding to HBCUs was somewhere around $3.8 billion. When I left after the first term, it was at $5.3 billion. That’s the biggest increase. That’s historic. That’s significant. Wilson knows what the hell he’s talking about. John Silvanus Wilson Jr. was appointed by President Obama to serve as the executive director of the White House Initiative on Historically Black Colleges and Universities. Under Obama’s leadership, blacks and Latinos earned 270,000 more degrees from 2013 to 2014 than before Obama took office, and Pell Grants increased from $523 million to $824 million. Funding increased $17 million last year alone. But now Wilson is unemployed. After daring to raise his voice and warn advocates for HBCUs that their futures are in the hands of a man who has declared bankruptcy six times, and a woman whose sole career achievement is winning a reality show, I’m sure he won’t be the only HBCU grad facing hard times.